Great service, The battery arrived as promised and was well packaged. First class packaging, communication & delivery by Tayna & DHL; arrived precisely when stated. Good price, best I could find for the product at the time. I requested an additional receipt by email and received it within minutes of asking. 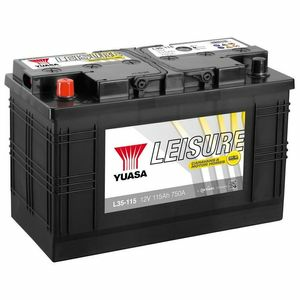 Too early to comment on the new battery life, however, I had the same brand / type on my older caravan and it served me well for a number of years, that is why I went for the same battery. Excellent product, super fast delivery. Extremely satisfied with the product and the speed of delivery. Arrived as promised in excellent packaging. Fitted perfectly, fully charged when delivered and it happily powered our caravan motor mover up our steep drive. Perfect!!! Product and service were both excellent.